Diet soda is one of the most controversial beverages around. According to Purdue University, research suggests that there is nothing diet-friendly about such sodas. When compared with regular soda, diet soft drinks seem like healthier selections, because they lack sugar and calories. Such components may be important if you have certain chronic health conditions. From a nutritional aspect, however, there are far healthier drink selections than diet soda. Diet sodas contain significantly fewer calories than regular versions because of the absence of sugar. This also reduces the carbohydrate content of diet soft drinks. Instead, such beverages are sweetened with artificial sugar substitutes, such as aspartame. A 12-ounce can of diet cola contains an average of seven calories, zero grams of sugar and 1 gram of carbohydrates, according to the U.S. Department of Agriculture. The agency estimates a 12-ounce serving of regular cola as having 152 calories, 39.78 grams of sugar and 39.15 of carbohydrate grams. The carboyhdrate content of a regular soda is equivalent to 10 teaspoons of sugar, according to the American Diabetes Association. Artificial sweeteners don't affect blood sugar the way that sugary drinks do -- this is why the organization recommends diet soda over regular versions for diabetes control. The lack of carbs in diet soda won't raise your blood glucose levels on their own. Sugar in both food and beverages can increase your risk for tooth decay. This is because sugar produces an acid in the mouth that contributes to plaque production. When considering plaque reduction, diet soda is a better choice – but only in moderation. Diet soft drinks still contain the high acidity levels of regular versions, which can eventually cause enamel erosion, according to the American Dental Association. It takes a deficit of 3,500 calories to lose one pound of body fat. 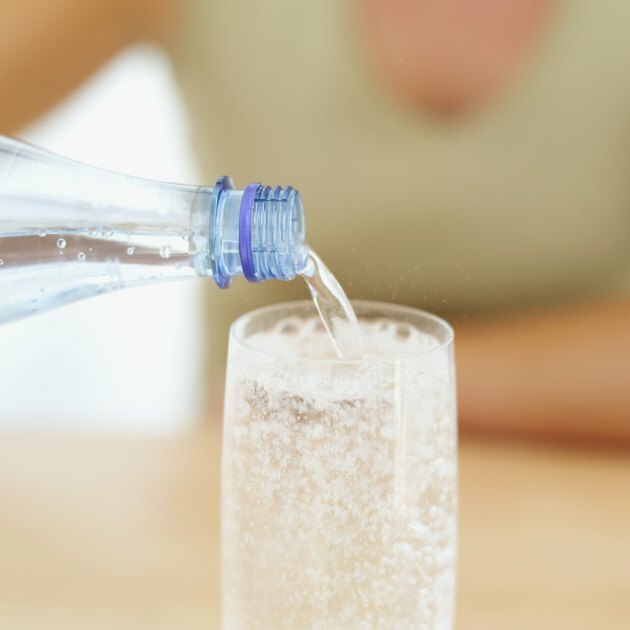 If you already drink soda, then switching to a diet version might help you get the calorie deficit you need to lose weight. Replacing one can of regular soda with a diet version can save about 150 calories a day, and 1,050 calories in a week. If you don't already drink soda, however, then starting a diet soft drink routine may not produce the same results. Despite the potential benefits, diet soda may actually cause health problems. In fact, diet drinks can increase metabolic problems, according to Susan E. Swithers, a behavioral neuroscientist and psychological science professor at Purdue University. Furthermore, her research has found that drinking one diet soda per day may increase your risk of cardiovascular disease and diabetes. Such effects are attributed to the fact that the body may be confused and not know how to process artificial sweeteners.